From left: Surbana Jurong Board Members Eric Ang and Ku Moon Lun; Mr Bill Nankivell, CEO of B+H; Mr Liew Mun Leong, Chairman of Surbana Jurong; Mr Wong Heang Fine, Group CEO of Surbana Jurong; Mr Rocco Yim, Executive Director of Rocco Design Architects; and Mr Yeo Siew Haip, Managing Director of SAA. Singapore, 16 October 2018 – Surbana Jurong, one of the largest Asia-based urban and infrastructure development consultancies, is set to form one of the largest architectural groupings in the world with the joining of two leading architectural firms, Canadian-headquartered B+H and Singapore-headquartered SAA, as member companies. It has also entered into a collaboration agreement with Hong Kong-headquartered Rocco Design Architects. The addition of B+H and SAA will deepen Surbana Jurong’s technical capability to offer best-in-class architectural and interior design services for both urban and infrastructure projects globally. 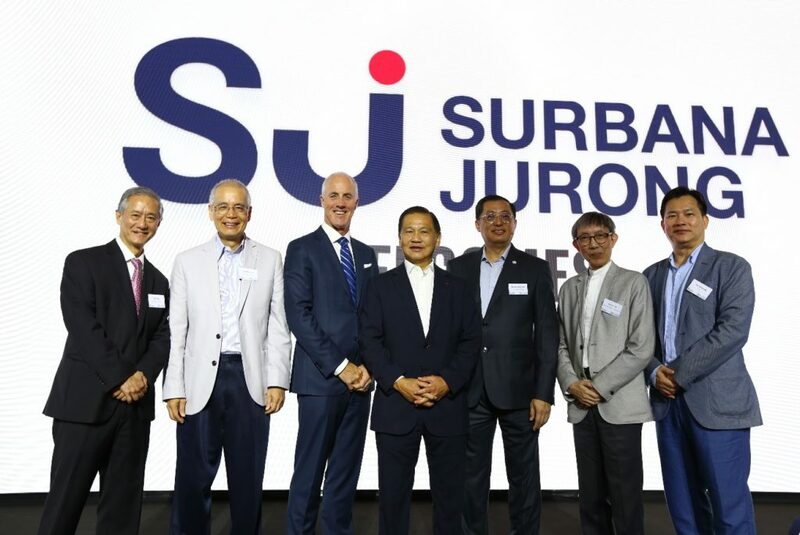 It will also strengthen Surbana Jurong’s ability to provide comprehensive, end-to-end solutions, from development strategies, to design and engineering services, project and facilities management, and financing solutions to its clients. Collaborating across ten studios in Toronto, Vancouver, Calgary, Seattle, Los Angeles, Dubai, Shanghai, Hong Kong, Singapore & Ho Chi Minh City, B+H’s architects, interior designers, planners, landscape architects, organizational design specialists, experience designers, researchers, analysts and brand strategists combine strategic thinking, bold design and advanced technology with the creative human energy of an interdisciplinary, multigenerational team. SAA Architects (SAA) is a full-service architecture practice consistently placed among the Top 10 firms in Singapore. Established in 1970, SAA’s portfolio spans all major sectors, and has been honoured with numerous design and excellence awards – showcasing the firm’s commitment to meeting the highest possible standards of distinction. SAA’s practice philosophy places the needs of people and communities at the heart of its designs and business practices; creating architecture that enrich communities and improve people’s lives.